By Blake Fleisher / Feb. 1, 2015, 11:11 p.m. The attack on Charlie Hebdo marks the deadliest terror attack in recent French history. 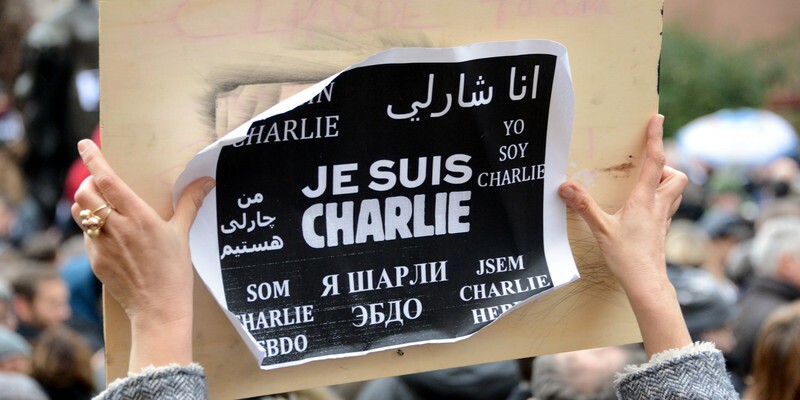 For most Westerners, it was an attack on our greatest and most basic freedoms of all—freedom of speech and expression. For jihadists, it was revenge for the satirical magazine’s recent depictions of the Prophet Muhammad. Westerners donned the hashtag #JeSuisCharlie in commemoration of the victims and jihadists donned the hashtag #JeSuisKouachi in solidarity with what they call the shuhada or martyrs. This dichotomy is clearly visible to the casual news observer, but what is far less apparent is what Charlie Hebdo means within the world of jihad. Today, there are two main global jihadi groups competing with each other—al-Qaeda and the Islamic State (IS). Although both organizations have radical Salafi jihadist ideologies, hate the West, and wish to restore the caliphate (or, in the case of IS, claim that they already did), their respective approaches are quite different. After the death of Osama bin Laden, al-Qaeda’s approach largely shifted from attacking the “far enemy” to attacking the “near enemy.” The organization commands affiliates throughout the world and wages jihad at a more decentralized, local level. IS, however, is mainly concerned with carving an Islamic state from modern Iraq and Syria, and toppling the regimes in the region. After IS declared the caliphate last summer, many jihadists believed IS eclipsed al-Qaeda, which made it the preeminent group to join. IS was also known for having a relatively lax recruiting policy, which made it easier for people to get involved with jihad. Al-Qaeda designed the Paris attack with a dual purpose—to attract new recruits and show the West that al-Qaeda is far from irrelevant. Al-Qaeda in the Arabian Peninsula (AQAP), an official al-Qaeda affiliate based in Yemen, claimed responsibility for the attack on the Charlie Hebdo office; however, they provided no evidence for this claim. For all we know, AQAP could have simply fabricated their entire involvement. Cherif Kouachi, one of the attackers, said on the telephone, "I was sent, me, Cherif Kouachi, by Al Qaeda of Yemen. I went over there and it was Anwar al-Awlaki who financed me." According to a Yemeni security official, Said Kouachi, the other attacker, met with Anwar al-Awlaki as well. For AQAP’s claim of responsibility to be true would not, therefore, be surprising. However, whether or not AQAP is telling the truth is irrelevant. What matters is that they hijacked media time from their inter-jihadi competitor, IS, making al-Qaeda a more attractive organization for recruits and one that is deeply feared by the West. Ever since al-Qaeda expelled what is now IS from the organization in February 2014, the two groups have been vying for recognition. However, once IS started conquering large swaths of territory and declared the caliphate, al-Qaeda began to lose its status as the top jihadist organization. IS dominated the media and al-Qaeda tried its best to remain relevant. Many analysts believe that al-Qaeda’s creation of a new affiliate in the Indian subcontinent was to serve this very purpose. It did not have a major affect in galvanizing the global jihadi community nor was it extremely prevalent in Western media. The Charlie Hebdo attack, however, was the most successful attempt to bring al-Qaeda back into the picture. Although AQAP is just an affiliate, it does represent, to a great extent, al-Qaeda core and its global interests. The emir of the group, Nasir al-Wuhayshi, serves on al-Qaeda’s senior leadership as the organization’s general manager. He was one of Osama bin Laden’s closest associates and is known for his loyalty to Ayman al-Zawahiri. Last July, Wuhyashi even wrote a poem praising Zawahiri as the “sheikh father” of the mujahideen. AQAP’s activities clearly tend to represent the wishes and desires of al-Qaeda core. Though AQAP claims that this attack had been scheduled for years, one could not help but notice the convenient timing. The Islamic State is showing strong indications of decline. They cannot master the most basic elements of statecraft. Water and electricity are only available for a few hours per day, garbage remains uncollected and the people are starving on the streets. Though it is possible to find similar conditions in the region outside of IS control, IS identifies itself as a state and governing is central to the group’s goal. According to Daveed Gartenstein-Ross, a Senior Fellow at the Foundation for Defense of Democracies, IS’s most obvious sign of decline is that, save for the occasional small village, they have ceased to conquer new territory. Their extreme brutality alienates potential supporters and local opposition groups continue to form. He also claims that IS does not have the same financial and military resources that they used to as U.S. airstrikes have destroyed their ability to refine oil. More recently, IS lost the strategic city of Kobane, located on the Turkish-Syrian border. As IS perpetuates its suspected decline, al-Qaeda looks to fill the gap. The Charlie Hebdo attack drew great support from the entire jihadist community and al-Qaeda received the recognition. Al-Qaeda does not face nearly as many challenges as IS and can dedicate more of its resources to launch terror attacks on what Bin Laden coined “the far enemy.” Though IS appears to be in decline, especially with its recent loss of Kobane, the West should still pay close attention to the group and not naively assume that it is weak. In the aftermath of the attack on Charlie Hebdo, there is one thing that we know and another thing that we can forecast: the attack was a great victory for al-Qaeda and we can forecast that al-Qaeda will reclaim its reputation as the preeminent jihadist organization in the world.